If you are a farmer who grows peanuts, you can make lots of money not only from peanuts but also from peanut shells. 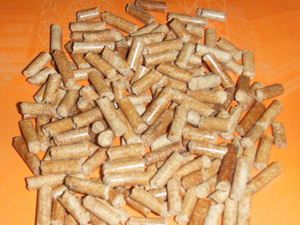 Peanut shell can be made into pellets by peanut shell peanut mill. These pellets are widely used in heating, cooking and sometimes horse bedding. People prefer these pellets to the traditional fuels, because pellets are clean, economical, environmentally friendly, and easy and safe to transport and store. Moreover, they release less poisonous gas or greenhouse gases. Therefore, people’s demand for pellets is increasingly larger. 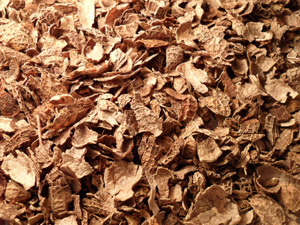 Peanut pellet mill plays an important role in the pellets production. Peanut, also named groundnut, is one of the commonest plant that large numbers of farmers plant. 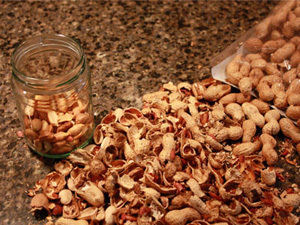 As we all know, peanut kernel is widely used to make food and cooking oil. However, peanut shell, if made into pellets, can bring considerable economic benefit, as the investment is quite low. 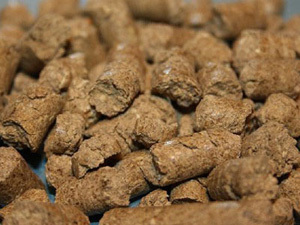 Just like other biomass pellets, peanut shell pellets are also widely used in home heating, cooking and sometimes horse bedding. People prefer these pellets to the traditional fuels, as they are clean, economical, environmentally friendly, and easy and safe to transport and store. Consequently, the demand of peanut shell pellet press is gradually increasing. Thus peanut shell pellet mill also has a wider and wider application. As a leading Chinese manufacturer and supplier of pellet mills, we have been professional for more than ten years and held the expertise of pelletizing. Our pellet mills have been exported to many countries all over the world, and won good reputations both domestically and abroad. Our peanut shell pellet mills have two different designs: flat die type and ring die type. The flat die type is for the small scale pellets production and the die is horizontal. While the ring die type is for large scale, and the ring die is vertical. And all of pellet mills can be customized according to your specific requirements. If you are going to buy a peanut shell pellet mill, our pellet mill is worthy your good consideration.